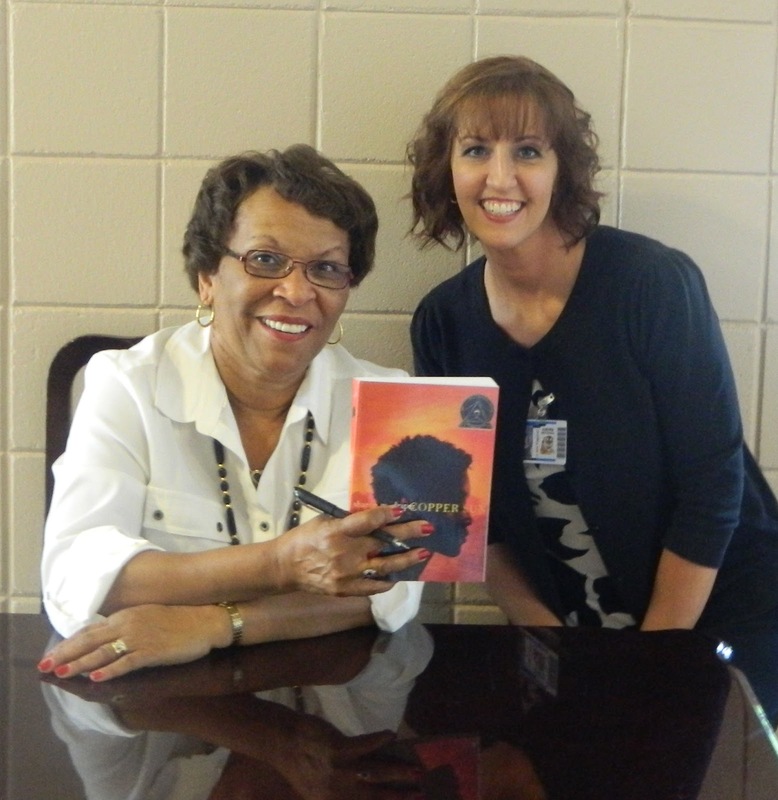 Students at Central Freshman Academy in Phenix City, AL are required to read "We Beat The Streets" written by Sharon Draper. Booklist (April 1, 2005 (Vol. 101, No. 15) Gr. 7-10. "What started out as three boys skipping class turned out to be the most significant experience of our lives," says George Jenkins, who, together with Sampson Davis and Rameck Hunt, made a teenage pact to leave their impoverished New Jersey neighborhood, attend medical school, and become doctors. Author Sharon Draper helped shape chapters, written in the third person, describing each doctor's challenging childhood experiences, including a parent's drug addiction, forays into crime, and succeeding in an environment that made "failing equal to being cool." Following each story, passages written in the doctors' own words offer advice and strategies, and acknowledge the help received along the way. 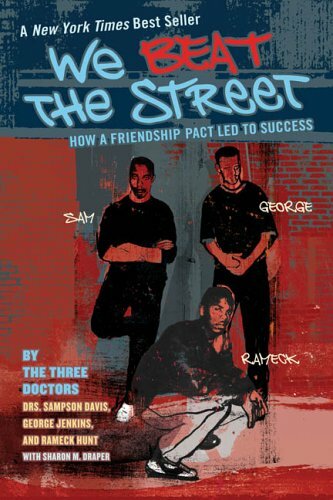 This information is directed straight to young people growing up in similar circumstances, but all readers will be riveted by the profoundly inspirational stories and personal, intimate voices that frankly discuss big mistakes and complicated emotions, including "survivor guilt" for choosing a different path from friends and family. After reading "We Beat The Streets", students were eager to read more books by Sharon Draper and other authors who appealed to their love of realistic fiction. Picking up on this opportunity to expand learning, my former co-librarian, Gabriella DuBose, and one of her coworkers, Patti Laundaeu worked most of the 2011-2012 school year to get author Sharon Draper to visit Central Freshman Academy to keep the excitement in students towards reading alive. Sharon Draper receives more than 300 requests to visit schools each year. Getting a visit from this amazing author is close to winning the lottery. Central Freshman Academy convinced Dr. Draper to visit and was not disappointed. I meet Sharon Draper in Gabriella's library at the Central Freshman Academy while she waited to be lead to the gymnasium where she would address the whole student body. This may seem like a daunting feat for many, but to 30+ years veteran educator and National Teacher of the Year, Sharon Draper, it was just a large classroom. Sharon Draper mesmerizer students as she cleverly shared her books through role playing the stories with student volunteers playing the book characters. Can you imagine a gym full of 9th graders quiet, attentive, and completely enthralled with a speaker?! It was a site to behold a master educator working her magic with these students. The local media even featured Dr. Draper's visit on the main evening news. After lunch, Sharon Draper meet with a small group of students (about 40) to discuss more about her books, reading and writing. One of my favorite quotes from Sharon Draper came as students asked her about other authors/books. "Some books are corn flakes and others are gourmet steak dinners. You need to consume a healthy balance". The subject of race and the characters in Sharon Draper's books was brought up during this small group meeting. Dr. Draper said that she didn't write books with race in mind, stating, "The race of a character is not important in a story, the peer pressure, trials and tribulations a character deals with is what is important". Spending the day with Sharon Draper was special treat. A big thank you to Gabriella for inviting me to her school to share in this great experience. Thank you to Sharon Draper for being so "real". It was truly an honor to meet such a great author and an even more amazing educator.